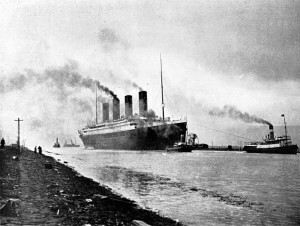 RMS Titanic beginning sea trials, April 2, 1912. Sorry folks for not posting for quite a while. I got distracted due to a very bad cold that lingered far too long! At any rate I have culled through my news feeds and found the following topical stories. I suppose the big news (sort of) is that Clive Palmer has resurrected Titanic II and seems intent to actually see it through. Doubts linger though on that one.